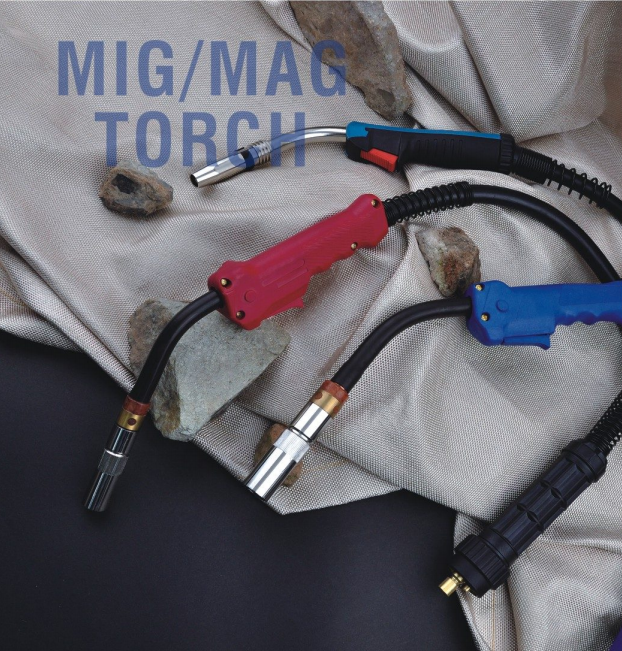 Product categories of Mig Torch&Mag Torch, we are specialized manufacturers from China, Mig Torch, Mig Welding Torch suppliers/factory, wholesale high-quality products of Mig Welding Gun R & D and manufacturing, we have the perfect after-sales service and technical support. Look forward to your cooperation! Welding torch is a tool which used for welding or preheating ferrous metal or non-ferrous metal workpiece by using oxygen and medium low pressure acetylene as heat source. It is the main tool of the welding operation. Mig Torch can weld almost all metals, it is especially suitable for welding aluminum and aluminum alloys, copper and copper alloys, and stainless steel. MAG welding gun can obtain very stable welding performance and good welding joint, and can be used for welding in various positions. It is especially suitable for welding ferrous metals such as carbon steel, alloy steel and stainless steel.